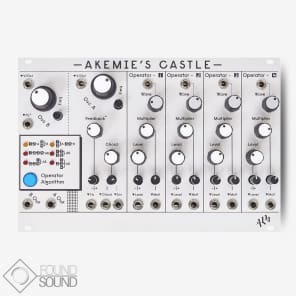 ‘Akemie’s Castle’ is a dual voltage controlled oscillator with authentic 4 Operator digital FM using ‘new-old-stock’ Yamaha IC’s for audio signal generation. 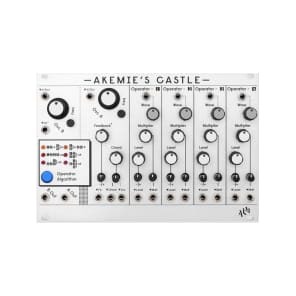 Each of the 4 operators feature independent waveform selection, frequency multiplier and level control via direct panel operation and voltage control. 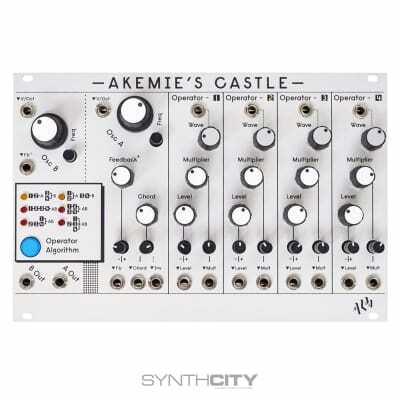 Operators can be combined in various ways across both oscillators, which together with independent feedback control on each VCO, offer an extremely wide palette of sounds. Oscillator A also features a chord mode providing a range of up to 5 voice chords and voltage controlled inversion.